It was a sunny day in May and LA Stage Alliance was hosting LA Stage Day, a gathering of Los Angeles theater folk centered around inspirational presentations, workshops, and breakout sessions. So I ventured down the 5 to University Hills, just off the 10, where participants in small group discussions like “Leading Diversity on the LA Stage,” “New Media in the Rehearsal Room,” and “Blue Sky: What Are Your Dream Ideas?” were sharing best practices, brainstorming new ideas, and challenging their own assumptions about how theater works. As part of a day geared around questions like how to engage new, increasingly diverse, tech savvy audiences, the playwriting workshop stood out for advocating the safest route to getting produced. Led by four men and one woman, “Play! : The 60-minute Everything-You-Need-to-Know-About-Playwriting-in-LA Marathon” offered such revelatory tidbits as “cast a name actor or no one will come see your play,” “every story has to have a protagonist and a resolution,” and “plays only get produced when they have small casts and one set.” Now these things are all well and good if that’s the kind of play you want to write, but what if the best actors you can get have impeccable training but aren’t names? What if the world as you see it or as you want to show it has multiple protagonists and locations, lots of people, and conflicts that don’t necessarily get resolved? What if you want to make art more than you want to sell tickets? What if you’re a woman? I’ve lived here all my life but this is the first play I’ve set here. I just got tired of all the new plays set in New York and gave myself a challenge to set one in LA. But I’m not savvy enough to write what’s producible. I write what I write and I hope it speaks to someone. I’d rather write plays where a woman loses body parts or shoes start raining from the ceiling. I call it “domestic absurdism,” with domestic meaning everyday life, because I find that life is absurd, especially for women. We have about 30 members, and there was a time when we had to recruit men in order to achieve parity. 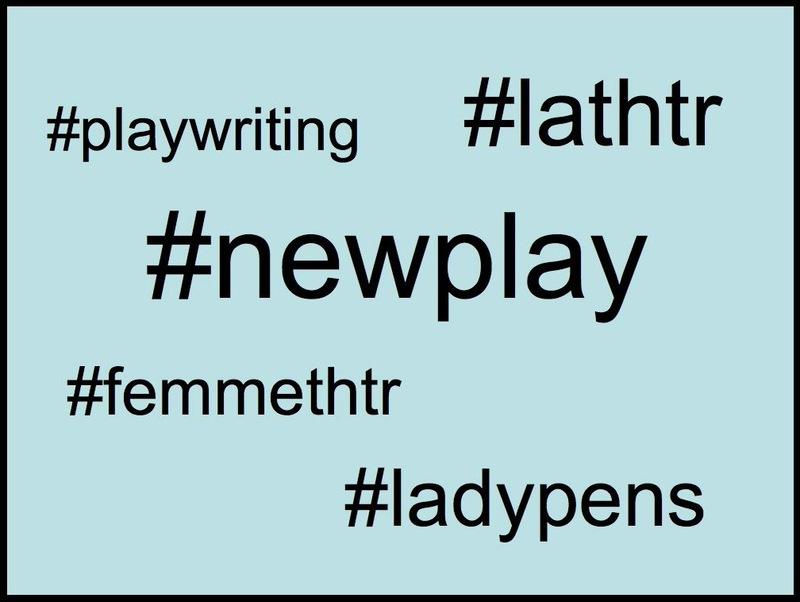 Right now it’s about even, but more women participated in the February Challenge that lead to these plays. I’ve worked as a playwright in Austin, Seattle and all over the East Coast. Studying at Brown with Paula Vogel, I learned to play with both experimental and traditional forms. I think circulation in a variety of theater communities helps you look at different models… there are new Playwrights arriving all the time in LA, and it will be interesting to see if this influences the kind of work being done here. A lot of people their first year out of school have an existential crisis. Maybe mine just hasn’t hit yet but it hasn’t been that bad. Then again I constantly feel like I’m in an existential crisis, so maybe I’m just used to it. At CalArts I felt like I wasn’t being experimental enough as a writer, but in Hollywood people think what I do is too experimental. LA is such an industry town: People are trying to do anything they can to make a connection. You can feel the desperation. It’s funky and weird and gross, and I kind of like how dirty and weird it is. Knupper has found an artistic outlet in storytelling, a popular form of Los Angeles entertainment in which people gather in theaters, bars, and homes to hear individuals read stories, usually autobiographical but sometimes fictional. These pop-up salons feature the work of playwrights, journalists, fiction writers, and essayists and provide writers with regular opportunities to present work and receive feedback from within a supportive community. LA is almost pridefully inaccessible. We needed an organization that would bring women together and spread the word that women writers exist. We are focused on connecting artists to one another, supporting one another by going to see each others plays, and getting the message out that it pays to produce work by women. Clearly LA is not lacking in women playwrights, yet a study done by LAFPI in conjunction with LA Stage Alliance revealed that between 2000 and 2010, only 20% of plays produced in Los Angeles were written or co-written by women. Hopefully next year’s LA Stage Day will address the lack of gender diversity on our city’s stages. Organizers at the Alliance should start by asking more women to speak and conduct workshops and should include breakout sessions addressing the issue. For their part, producers need to recognize that the only way to appeal to new audiences is to tell stories in new ways, which is why I’m going to stay on the trail of the LA writing underground, where work by women–and experimental work at that–is flourishing. In fact, on Sunday I’m hosting a reading of Knupper’s play, Galatea, in my backyard. If you can make it up the 405, then come on out.